The changing concept and deployment of the feminine has led to fruitful developments in scholarly deliberations on twentieth-century Chinese culture and history. Not only are there foundational feminist texts that take the transformation of the Chinese woman and the feminine as the foci of their enquiry into Chinese modernity, many studies of modern Chinese literature argue for the centrality of the “woman question” and women writers in twentieth-century writing, delineating a female or feminist tradition. The concepts of gender and subjectivity can be productively combined to further our understanding of the formation of modern Chinese culture, as evidenced in Ping Zhu’s Gender and Subjectivities in Early Twentieth-Century Chinese Literature and Culture. Zhu’s monograph aims at a cultural history of the “feminine at large” in early twentieth-century China. Zhu’s “early twentieth-century” encompasses “the extended period of the New Culture/May Fourth movement (including their prelude, development, and aftermath)” (3). Zhu also considers pre- and post-New Culture/May Fourth texts from Late Qing reformist writings and revolutionary literature of the 1930s. 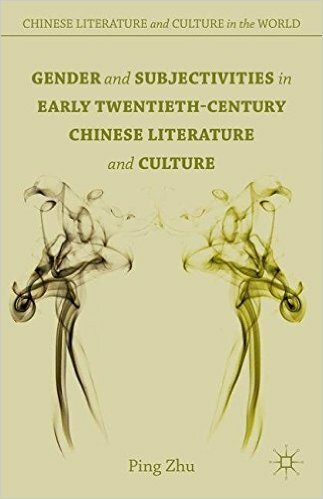 This way of charting the diverse and rich cultural and intellectual developments in the first three decades of twentieth-century China reasserts the centrality of the New Culture movement in the formation of a modern Chinese subjectivity. Zhu pinpoints the amorphous “feminine at large,” which she identifies as part of the movement’s foundation, showing how it acted as a touchstone for many derivations and alternatives (as represented by the writers discussed in the book). With clarity and original insights, Zhu traces the cultural history of “the feminine at large” through a wide array of literary, proto-scientific, and political texts in five chapters. Among the book’s contributions is Zhu’s recovery of a series of important but understudied early twentieth-century essays and translations on gender. 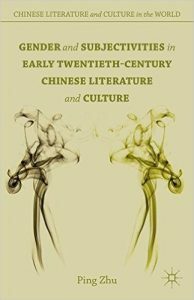 Their juxtaposition with canonical literary and cultural texts sheds new light on the formation of early twentieth-century Chinese culture. In Chapter 1, “The Empowered Feminine: Gender, Racial, and Nationalist Discourses,” for instance, Chen Duxiu’s seminal essay “New Youth” (新青年, 1916) is paired with his little-noticed translation in classical Chinese of Max O’Rell’s “Thoughts on Women” (1915), showing that for Chen and the Chinese intellectuals of his time “femininity was both banished and coveted, both condemned and fantasized” (24). The chapter discusses contrasting intellectual trends that attempted to turn the female body into an observable object of contemporary science, on the one hand, and re-mystifying and empowering the feminine, on the other. From this Zhu goes on to examine the trajectory of the “empowered feminine” (19) in exclusively male-authored texts, arguing that “polarization[s] of the feminine” such as Chen Duxiu’s mark a deliberate choice, a complex transcultural mediation between tradition and modernity, “one that strategically negotiates between discourses of race, gender, and nationalism” (24). The feminine created as such is anamorphic and phantasmal but essential for the construction of a post-imperial Chinese subjectivity. Chapter 2, “The Anamorphic Feminine: History, Memory, and Woman in Lu Xun’s Writings,” establishes the foundational character of the phantasmal feminine in Lu Xun’s development of a modern iconoclastic subjectivity. Rather than focusing on Lu’s noted portrayal of Chinese women as receptacles of tradition who were therefore untenable targets for enlightenment, Zhu points to his lasting fascination with liminal female figures such as “the ghost of hanged female” [sic] from his childhood memory (48). Through original reinterpretations of Lu’s key texts from stories in A Call to Arms (吶喊, 1922) and Wandering (徬徨, 1926), such as “New Year’s Sacrifice” (祝福, 1924) and “Regrets for the Past” (傷逝, 1926), and against the grain of what she calls “the conventional lopsided reading of the female images in Lu Xun’s writing that manifest the tendency to reduce women to the weak and the backward” (48), Zhu demonstrates that the backward-looking and avenging female ghost is actually Lu’s muse. This unrelenting female ghost, pushing the anamorphic power possessed by his seemingly weak and passive female figures to its limit, serves “as the hidden recourse, repressed past, and unconscious reparation of the masculine iconoclast subject” (48). In Zhu’s elaboration, Lu especially needed this figure of “feminized despair”—one that is capable of apocalyptical eruptions precisely because of her liminal status—at moments when his own masculine iconoclast subjectivity was challenged in the post-May Fourth period of “darkness” and “nothingness” (58). This is manifested most dramatically in “The Trembling of the Decadent Line” (頹敗線的顫動, 1925), one of his Wild Grass (野草, 1927) prose poems, in which the figure turned sublime. Through his figures of “feminized despair,” Zhu argues, Lu Xun did not simply depict tradition-bound women as objectifications of the May Fourth crisis of consciousness; rather, he fully identified with them and made them the foundation of his historical imagination. In Chapter 3 “The Affective Feminine: Mourning Women and the New Nationalist Subject,” Zhu finds the figure of mourning women similarly central to the diasporic stories of three Creation Society writers: Yu Dafu, Zhang Ziping, and Guo Moruo. In the fashion of classical Chinese poetry, Yu Dafu adopted the voice of the mourning woman to build an imaginative relationship to China as an absent masculine figure in his “Confessional Monologue” (懺餘獨白, 1931). Zhu shows this is both a reversal and an extension of the figuration of the precarious masculine Chinese nationalist subject in his early short story “Sinking” (沈淪, 1921), where the frustrated sexual desires of a male Chinese student are compounded by his deep national inferiority complex. Zhu next examines Zhang Ziping’s short story “She Gazes at the Sky over China in Sadness” (她悵望著祖國的天野, 1921), which revolves around a culturally and territorially displaced (half-Japanese, half-Chinese) woman who is repeatedly abandoned but retains an “unquenchable desire for attachment” (85). In Zhu’s reading, the use of a mourning woman as protagonist in Zhang’s story provides an antithesis to Yu’s crisis of masculine nationalist consciousness: whereas Yu’s weak male hero has to wrestle with his traditional moral obligations and suffers self-doubt, Zhang’s heroine can fling herself into the longing for China with abandon in a total fusion of sexual and political passion. Turning to Guo Moruo’s first short story, “The Sad Tale of a Shepherd” (牧羊哀話, 1919), in which the mourning woman is placed directly in a cosmopolitan setting, Zhu demonstrates how the author’s national and nationalist burden is displaced in this story about the mourning women of Korea and Korea as a woman mourning her colonization by Japan. Zhu concludes from her analysis of these early twentieth-century Chinese romantic stories that the rational and masculine model of nationalism (an “effect of Westernization”) as espoused by the reformists remained dysfunctional and that, through a transnational re-imagining of the feminine, the three writers sought alternatives to that model because “the affective agency of mourning women conjoins both Confucian humanism and colonialist logic” (98). It is clear from Zhu’s careful and very interesting reading of the stories that the diasporic and transitional is central to the authors’ romantic pursuits of nationalist subjectivities. But her general concepts of “Confucian humanism,” the “colonialist logic,” and “Western gaze” need more elaboration to more effectively argue how these Romantic pursuits of modern Chinese subjectivities are an alternative to the nationalist model. Chapter 4, “The Cosmopolitan Feminine: The Modern Girl and Her Male Other in the New-Sensationalist Fiction,” turns its attention to the much-studied New Sensationalist fiction associated with Shanghai and by extension China’s colonial modernity. Zhu rehabilitates the figure of the modern girl in the writings of Liu Na’ou and Mu Shiying as embodiment of the hybrid and empowered cosmopolitan feminine who thrives in China’s urban modernity. Zhu sees the New Sensationalists’ modern girl as the antithesis of the weak and passive traditional Chinese women constructed by male May Fourth writers. The male New Sensationalists, like the male characters in their fiction, thus mark their difference from their May Fourth predecessors by abandoning “the masculine subject position to approach the empowered other” (128). In this way, Zhu adds a gendered dimension to our understanding of Chinese modernist subjectivity, which is normally figured as malleable, incoherent, and fragmented. Zhu proves a good comparatist in this chapter, moving as she does with convincing ease between the Chinese and Japanese New Sensationalists and fin-de-siècle European literature. Chapter 5, “The Revolutionary Feminine: The Transformation of ‘Women’s Literature,’” is the only chapter that treats early twentieth-century “women’s literature” as part of the formation of the anamorphic and empowered feminine. This makes perfect sense in the schema of a book that seeks to establish the critical role changing ideas of the feminine played in a largely masculine modern Chinese subjectivity. The male writers discussed in the previous chapters worked against that modern subjectivity by nurturing and relying on a “gynocentrism” within, whereas this chapter tries to show that “the (re)production and (re)imagination of the feminine in modern China was not an exclusive privilege of male writers” (129). Zhu does not see the radicalization of 1930s as the end of “women’s literature.” Writings of Bai Wei and Ding Ling from the late 1920s and the early 1930s are examples of texts that, through sustained acts of radical self-marginalization and self-critique, challenged the fixed notion of a feminine “essence” that defined the older “women’s literature.” In Zhu’s analysis, Bai’s life-long literary pursuit of a rapturous feminine power and Ding’s never-ending repudiation of the feminine are central to the development of “revolutionary literature,” which is the product of a conjoined effort between men and women. One wonders, though, whether our understanding of the feminine and the trajectory of its transformation would be different were more women writers examined. Zhu’s monograph makes an important and original contribution to the study of modern Chinese literature and culture. It shows how our understanding of a field can be enriched by the inclusion of a wider range of texts and by the extension of our scholarly foci. It further contributes to our understanding of the history of modern Chinese culture as transnational. However, some of the book’s founding concepts require clarification. For instance, one of the book’s key conceptual underpinning, China’s “semicolonial” modern condition, is repeatedly evoked but not established as a category of historical analysis. It is not certain whether the author is referring to the Leninist or Maoist definition, or as reflected in early twentieth-century China’s intellectual fascination with Western knowledge. This reviewer remains unconvinced that this rich and multifarious history of the changing feminine, which the author persuasively argues as representing “a perceptive attitude towards changes, a conscious effort to reshape self-identity,” is merely one of “the ambiguous results” produced by “colonial discourses” (17). One needs to establish what the colonial discourses are, how they are articulated, and the precise nature of their textual, intellectual, historical, and general cultural implications vis-à-vis the particular concerns and texts discussed. A bigger question is of course whether the depth, breadth, and overall richness of modern Chinese cultural history can be reductively attributed to the original sin of European colonialism. Also, the author sometimes quotes what should be her primary sources through secondary texts without justification. More attention to these scholarly details and editorial care would have enhanced the monograph’s contribution. For instance, Toni Barlow’s The Question of Women in Chinese Feminism (Durham: Duke University Press, 2004), and Rey Chow’s Woman and Chinese Modernity: The Politics of Reading between West and East (Minneapolis: University Of Minnesota Press, 1991). Amy Dooling, Women’s Literary Feminism in Twentieth–Century China (New York: Palgrave Macmillan Press, 2005); Wendy Larson, Women and Writing in Modern China (Stanford: Stanford University Press, 1998) Lydia Liu, Rebecca Karl, and Dorothy Ko ed. The Birth of Chinese Feminism: Essential Texts in Transnational Theory (New York: Columbia University Press, 2014); Yan Haiping, Chinese Women Writers and the Feminist Imagination, 1905-1948 (New York: Routledge, 2006).